Image: Patinir, Joachim, approximately 1485-1524. Baptism of Christ, from Art in the Christian Tradition, a project of the Vanderbilt Divinity Library, Nashville, TN. http://diglib.library.vanderbilt.edu/act-imagelink.pl?RC=56068 [retrieved January 9, 2019]. 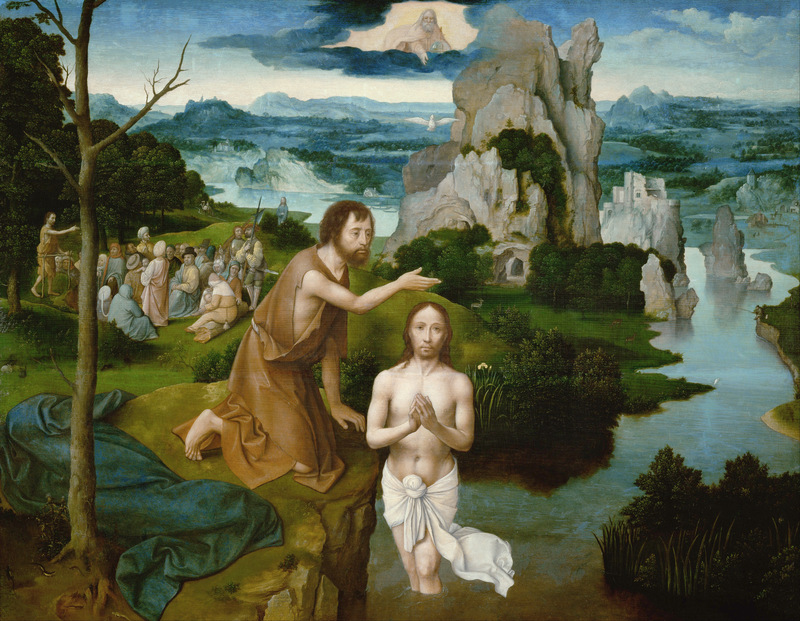 Original source: https://commons.wikimedia.org/wiki/File:Joachim_Patinir_-_The_Baptism_of_Christ_-_Google_Art_Project.jpg.